Not everyone give it much thought of how much a wedding cost, until that ring is shinning on their finger. Getting married is a major milestone in life, just like buying a house. Average wedding will differ by location. For example in New York, New York the average wedding is around $86,916, in Tampa Florida the average wedding is $30,00 and in Miami/Fort Lauderdale it is $37,210. 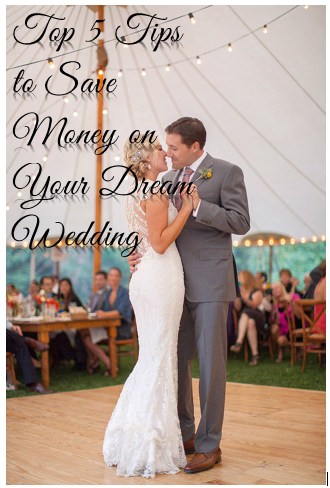 Regardless of the average there are some tips to help you save money, while having your dream wedding. Inviting close friends and family helps in reducing cost. If you have a larger guest count, expect to pay a significantly higher cost for food, drinks and venue space that will accommodate all the guests. You can have a dream luxurious lavish wedding for $15,000 for just 30 guests, but on a guest count of 150, it will be a bit hard to obtain the same quality on a budget of $15,000. There’s a lot of non-inclusive unique location that are inexpensive. Your choice are broaden when the guest count is smaller, as some of the unique venues accommodate a smaller guest count. Think outside the box, for example; a friend’s estate, barns, parks, back yards, rooftops are possibilities. When choosing your catering company, make sure you tell them about your budget, and they are really good at working and making a menu that fits your budget and make sure it includes the service charge and taxes. Also, consider how you want your food served, buffets generally cost less per person than sit down meals. 4. Hire a Wedding Planner for the Day of Coordination. A wedding planner plays a crucial role of taking the pressure off you so you can enjoy the day. If hiring a full service planner is out of your price range, there are other options as well. Day of coordination is critical, especially when you do it all yourself. You do not want to be both directing and starring in your own production, let someone else take charge so you could enjoy the dream wedding you’ve put together. Your wedding day should be fun for you. Another option is to identify the parts of your wedding most important to you and those with which you are least experienced. Then find one or more professionals who will focus on those elements. When shopping online, product selection is larger and the potential for cost savings is greater online compared to what you can find locally. If you are making your own favors, finding the materials you need might be cheaper only, than buying them locally. You can buy most everything online if cost is something you are worried about. There you have it! Five approaches to saving money on your wedding. Happy Planning!! !